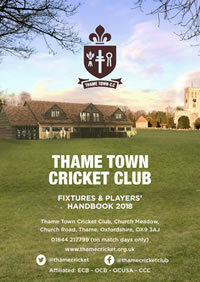 Thame Town Cricket Club will be hosting a ‘Brush Party’ on Friday 10th May, to raise money for our New Nets project! Join us for a fun night of painting and prosecco in our fabulous new clubhouse. There will be the chance to win a cash prize on Play Your Cards Right in the break and a well stocked bar for refreshments.